"Bad" LP cover black and white mirror. 6"x6" (including the gold border), c. 1988. Unofficial mirror with Michael waring a leather jacket with spoons. Small 4"x6 1/2" mirror in wooden frame with "Bad" LP cover and "Michael Jackson" written on top right. c. 1987/88. 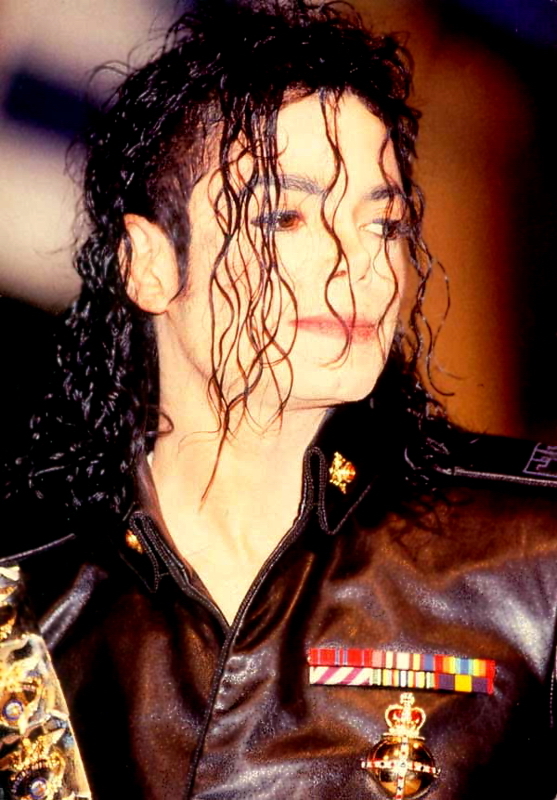 Artistic drawing "face shot" of Michael in "Brown Leather Jacket" pose with brownish tint. "Michael Jackson" written in gold across the top. 8"x10" mirror in 10"x12" brown frame. c. 1983, bootleg, probably made in Taiwan for USA distribution. MJ in "King" costume, with blue tint. 7"x9" mirror in brown frame. c. 1983 (probably made in Taiwan for USA distribution). MJ from cover of "P.Y.T." sleeve, with blue tint. "Michael Jackson" written across lower right. 7"x9" mirror in brown frame. c. 1983 (probably made in Taiwan for USA distribution). 1984 Unofficial Wooden Framed Mirror With Brown/Red Jacket. Blue 12"x12" "LP cover" mirror with blue sky and "stars" in background. Reads "Michael Jackson" in black Thriller era script. c. 1983 (probably made in Taiwan for USA distribution). MJ in black leather with silver studs (The "Who's Bad" portrait). 8"x12 1/2" black tinted mirror with Michael's shirt tinted red, in dark brown frame. "Michael" written on left, "Jackson" on right, in red. c. 1987/88. European Wooden Framed Unofficial Mirror. 6"x6" black "LP cover" mirror. c. 1983 bootleg (probably made in Taiwan for USA distribution). Unofficial mirror with Michael wearing a red jacket.